Most of the building energy models are not suited to properly integrate local urban ambient conditions; thus, this study initiates a sensitivity analysis of the heating and cooling needs and operative temperature of buildings to local radiative, thermal and aeraulic external conditions. These conditions were estimated using the possibilities of a building energy model (based on the BuildSysPro Modelica library) or derived from microclimatic simulations (SOLENE microclimat) for generic isolated or urban buildings. The thermal behaviors of both energy-inefficient and energy-efficient buildings in summer and winter are examined. The results show major effects of short- and long-wave radiative heat transfers as well as aeraulics. According to present results, and given current urban growth and climate change challenges as well as the development of energy conservative buildings, this last point may become particularly critical in the future. The authors sincerely thank Jean-Luc Hubert and Maya Milliez from the EDF R&D and BHEE for their support when preparing this work. Merlier L, Frayssinet L, Johannes K, Kuznik F (2019a). On the impact of local microclimate on building performance simulation. Part I: Prediction of building external conditions. 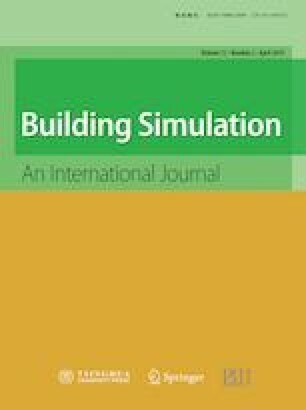 Building Simulation, https://doi.org/10.1007/s12273-019-0507-7.